Dvanáctý ročník akce Terra Madre Salone del Gusto, kterou organizuje hnutí Slow Food ve spolupráci s piemontským krajem a městem Turín, se bude konat od 20. do 24. září 2018 v italském Turínu. V tomto městě se setká více než 5 000 delegátů ze 140 zemí, více než 800 vystavovatelů, 300 prezidií Slow Food a 500 potravinářských komunit sítě Terra Madre. Slow Food Prague bude reprezentovat jeho prezidentka Blanka Turturro a členka výboru Renata Lukášová. Sejdeme se na Terra Madre 22.-26. 9. 2016 v italském Turíně! Největší a nejvýznamnější akce Slow Food. Každým druhým rokem se koná v italském Turíně. Letos bude probíhat po celém městě a okolí prezentacemi, konferencemi a fóry, jejichž seznam den po dni uvádíme v AJ. Loving the earth means loving human diversity as well as biodiversity. Slow Food knows that we need to bring together the earth and the heart. 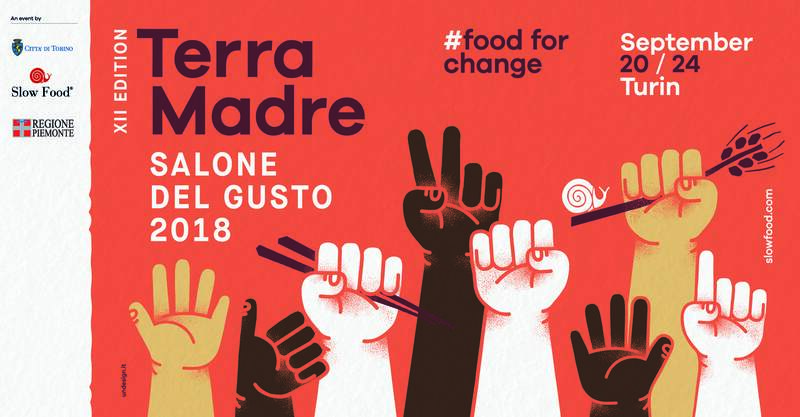 In this edition of the newsletter, we show you how that is happening at Terra Madre Salone del Gusto. For the conference program at Terra Madre Salone del Gusto 2016, Slow Food invites you to one of the most symbolic locations in the city, and one Italy’s most beautiful stages: the Carignano Theater. The program will expand on our central theme of loving the earth from multiple points of view, encouraging us to widen our perspective and discover how, for better or for worse, food can change the planet. Speakers of international fame will confront the global economy, human and animal welfare, happiness, the environment, the kitchen, food in the arts, and more. The Terra Madre Forums, on the other hand, will take place in Valentino Castle – Turin Polytechnic and at Torino Esposizioni – University di Turin. These will be spaces for debate and confrontation on a wide range of topics relating to the world of food, where delegates from across the Terra Madre network will be able to discuss their problems, both amongst themselves and with experts, and work together to find potential solutions. Agriculture, soil, legality, the raising of livestock and animal wellbeing, biodiversity, meat consumption, the role of women in food production: these are only some of themes that will be brought to life and developed in the Forums, taking in the points of view of all our members from across the world. The Forums are arranged with our delegates from the Terra Madre network in mind: there will be a limited number of places available to the general public. You can accredit yourself on arrival at the location and partecipate in the meetings which interest you most. 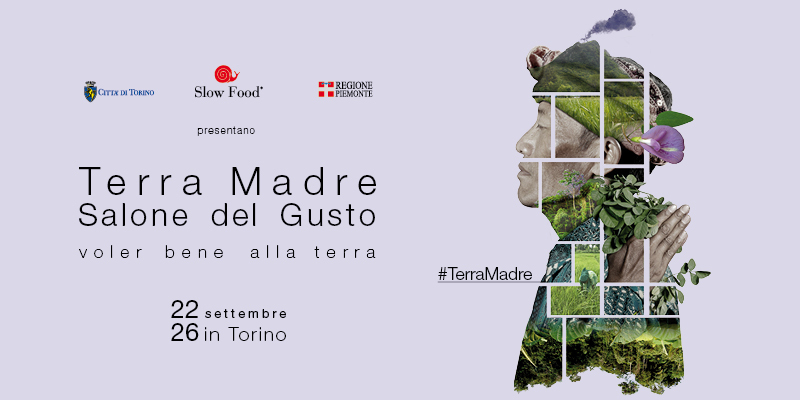 The program of Terra Madre Forums has been organized with the support of the Associazione delle Fondazioni di origine bancaria del Piemonte. Let’s not eat up our planet! Where is organic agriculture going? Take your hands off the Earth! Our Daily Meals: Poison or Medication? TTIP: what does it foresee and what does the agreement between Europe and USA mean? What do labels tell us? Přišel nám dopis od Petra Alexandra – tvůrce festivalu Life Sciences Film Festival. Díky, Petře, z valné části dopis otiskujeme a tím i my zveme na nejlepší a největší český festival filmových dokumentů o jídle, potravinách a vědách s nimi spojených! Co to je a jak působí hnutí SLOW FOOD po celém světě? Podívejte se na zajímavý dokument, který reportér Ivo Bystřičan natočil na stánku Slow Food na milánském EXPU 2015. As you may already know, from May 1 to October 31 Slow Food will have its own space within Expo 2015 in Milan.